Paul K. Driessen is a senior fellow with the Committee for a Constructive Tomorrow, Center for the Defense of Free Enterprise, Frontiers of Freedom, and Atlas Economic Research Foundation, and is director of the Economic Human Rights Project. He's also identified as a senior policy advisor to the Congress of Racial Equality (CORE). A biographical note at Townhall.com states that "is senior policy advisor for the Congress of Racial Equality and Center for the Defense of Free Enterprise, two groups that have received some ExxonMobil support for work by him and others on malaria eradication, Third World agriculture and economic development, climate change, and other issues." Driessen is co-editor of Capital PR News, the newsletter of the nation's largest chapter of the Public Relations Society of America. He is also principal of Global-Comm Partners, a Northern Virginia public relations firm specializing in energy and environmental public policy issues, which now (2004) appears to be defunct. In a biographical note, Driessen states he "received his BA in geology and field ecology from Lawrence University, JD from the University of Denver College of Law, and accreditation in public relations from the Public Relations Society of America." The biographical profile states he had a 25-year career that included working for the United States Senate, the Department of the Interior and an unspecified "energy trade association". "He has spoken and written frequently on energy and environmental policy, global climate change, corporate social responsibility and other topics. He's also written articles and professional papers on marine life associated with oil platforms off the coasts of California and Louisiana - and produced a video documentary on the subject," his biographical note states. As with other environmental sceptics, such as Bjorn Lomborg, Driessen invokes membership of environmental groups to add weight to his critique of the the environmental movement. Driessen claims to have been "a former member of the Sierra Club and Zero Population Growth". According to his biographical note "he abandoned their cause when he recognized that the environmental movement had become intolerant in its views, inflexible in its demands, unwilling to recognize our tremendous strides in protecting the environment, and insensitive to the needs of billions of people who lack the food, electricity, safe water, healthcare and other basic necessities that we take for granted." In November 2003, Driessen published Eco-Imperialism: Green Power Black Death. He continues to speak regularly on the subject of "Eco-Imperialism" in the media. "Paul has produced publications, actively participated in Atlas meetings and workshops, and coordinated international research and educational programs on global warming, solid waste management and a variety of other topics. He is well liked and works effectively with Atlas staff, corporate executives, and personnel from both here in the United States and overseas." On February 4, 2004 Driessen testified before the House of Representatives Subcommittee on Energy and Mineral Resources, "on the subject of science, Eco-Imperialism and public policy". "He joined a number of other distinguished scientists and policy experts in what was a wide-ranging and provocative discussion," he states on his website. Those giving testimony with him were Niger Innis, Cyril Boynes, Jr. of the Congress of Racial Equality and Fifi Kobusingye-Boynes from Uganda. ↑ Paul K. Driessen, "When visions collide: The Rainforest Action Network’s real target is the Third World’s poor", Eco-Imperialism.com, January 2005. ↑ "Paul Driessen's Biography", Townhall.com, accessed January 2009. ↑ "Staff and Advisors", Center for the Defense of Free Enterprise website, accessed January 2008. ↑ 5.0 5.1 5.2 5.3 5.4 Paul Driessen, "Author’s Biography", Eco-Imperialism.com, accessed January 2009. ↑ Global-Comm "Applause", archived version of Global-Comm Partners website, from 2002. ↑ 7.0 7.1 "Author Paul Driessen testifies before U.S. Congressional Subcommittee", House Subcommittee on Energy and Natural Resources, February 4, 2004. "Author's Biography", accessed February 11, 2004. Center for the Defense of Free Enterprise, "Paul Driessen" (biography), accessed February, 2004. 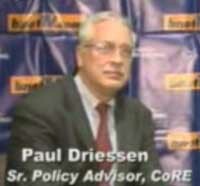 "Paul Driessen at the Malaria Conference in 2006", YouTube, accessed January 2009. Paul Driessen, "Prophets, False Prophets and Profiteers", CNSNews.com Commentary, December 15, 2004. Paul Driessen, "Skewed ethics on biotechnology:Anti-biotech campaigns perpetuate poverty, malnutrition and premature death", Canada Free Press, January 14, 2005. Paul Driessen, "Facts versus fears on biotechnology", Enter Stage Right, March 7, 2005. Paul Driessen, "Biotech Can Eliminate 2 Million Annual Diarrhea Deaths", Heartland Institute, February 1, 2007. Paul Driessen, "Saving Lives with Coal", Townhall.com, January 3, 2009. Paul Driessen, op/ed: "Obama's energy, climate plans would drag U.S. back to 1905 – or 1862," Washington Examiner (Washington, DC), April 30, 2009. 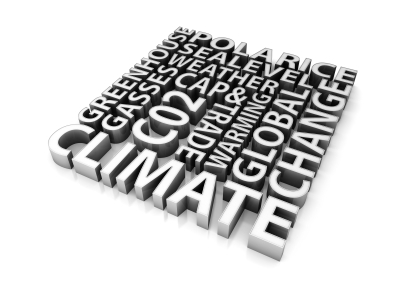 Paul Driessen, op/ed: "Climate change 'morality'," MichNews.com, June 1, 2009. Willie Soon and Paul Driessen, "The Myth of Killer Mercury", Wall Street Journal, May 26, 2011. This page was last edited on 2 November 2017, at 17:22.